Last week, we put out a call for iPhone 7 users to tell us what problems they’re experiencing with their phones. Although Bluetooth complaints were the most common, we’ve heard from dozens of Verizon users who are having issues with their new phones dropping LTE signal and GPS. A few things are happening, but all relate to random drops in service. Some, like reader Charles Almonte, will just have a signal drop out of nowhere. “It comes and goes on its own,” he explains. Some users are seeing the service drop in strong areas, whereas others will see dropouts happening in low signal areas. I’m a Verizon iPhone 7 Plus owner, and this has happened to me. If I’m in an area with low signal, my iPhone will drop to 1x and then come back to 3G. To get it to reconnect with LTE signal, I have to toggle airplane mode. My iPhone 6 in the same area, connected to the same network, does not have a problem reconnecting to LTE. 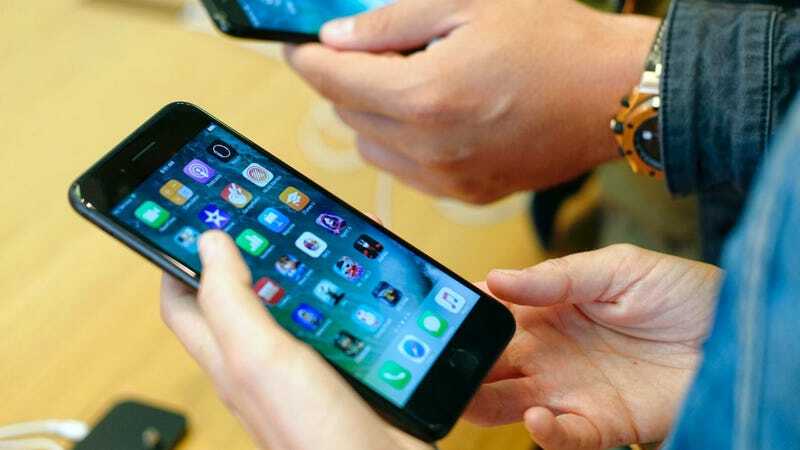 For most users, toggling airplane mode will solve the problem, but some users have said they need to restart the phone to get a proper cellular connection. A reader who asked we just call him Devin says that in his experience, calling Verizon leads to the blame being placed on Apple and calling Apple leads to the blame being placed on Verizon. My phone from day one is dropping service and GPS signal. It’s easy to spot while using Waze. Apple has already replaced the phone. No change. Verizon has replaced the SIM card. Problem still occurs but it seems to be happening less. I’ve disabled wifi and Bluetooth but it doesn’t seem to change anything. It definitely feels like it happens when handing off between weak cell sites. Very frustrating. John L. isn’t the only reader who mentioned GPS drop-offs. About half of the nearly 50 email messages and comments we received about this issue also brought up GPS drop-offs, often while using Google Maps or Waze. My problem has to do with the GPS and cellular network. I have repeatedly experienced ‘No Service’ messages when running Waze or Google Maps while in car. This did not happen with my iPhone 5. I keep having issues with my network dropping for a few minutes at a time with a Verizon iPhone 7 128 GB. This is particularly troublesome when driving in an unknown area and using Waze or Google maps for directions. The signal will just drop entirely for 2-3 minutes. This may happen 3-4 times on a 60 minute drive. A thread on MacRumors has nearly 1,000 replies from users with various connectivity issues. There are also threads on Apple’s community forums and Verizon’s forums. Gizmodo has repeatedly reached out to both Apple and Verizon for comment on the issue. We’ll update this post if we hear back. Update: We’ve heard from a few users that Voice over LTE (VoLTE) wonkiness might be the problem, a temporary workaround is to go to Settings > Cellular > Cellular Data Options > Enable LTE > Data Only. This work around will mean you can’t talk and use data on your phone at the same time, but it may be better than not being able to use GPS on your phone at all.